Eat local. The easiest and most practical way to do this is to see if your city or town has a farmer’s market. When you shop at a farmer’s market, chances are the food you find there hasn’t traveled far to get to your plate! Also, consider joining a CSA (community supported agriculture). Check out Local Harvest to find a farmer’s market or CSA near you. Get outside and garden. The most local you can get, of course, is your own back yard. 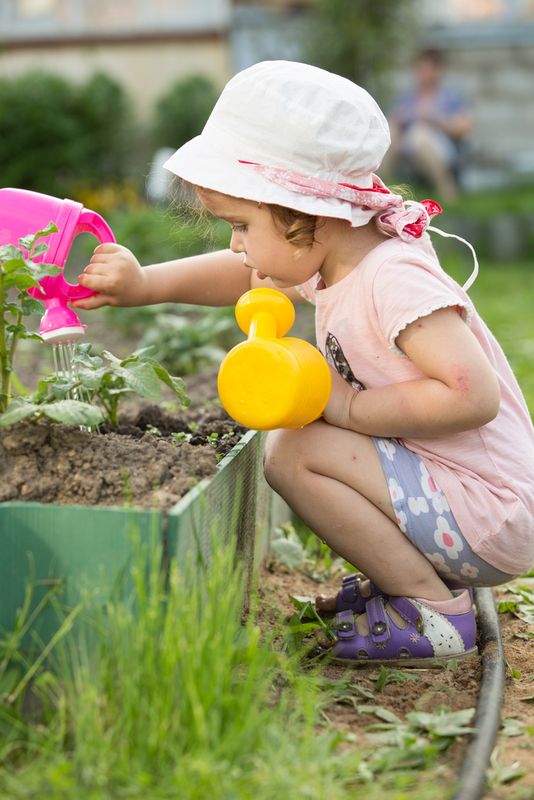 Depending on where you live, having a small garden can be a source of produce for you and your family. Start small with fresh herbs such as rosemary and basil, and progress from there if you have the time, land, and space. Stock your freezer. A well-stocked freezer uses less energy than one that is almost empty. This is great news for those that like to plan ahead. Just think of the space you can fill with leftover or prepped meals! Just remember to label and date everything clearly, so you know when to toss ingredients or ready-to-eat meals when they’ve expired (hopefully you use them before this point). Cook once, eat twice. When planning for and preparing dinner, buy enough ingredients to make a second batch. You can even triple it if you have the storage space! It does not take much more effort to cook a larger batch. Plus, you can have the leftovers for another meal in a few days, freeze them for a quick meal at a later date, or gift family or friends with your home-cooked meal. Add veggies to family-favorite meals. Whether it’s making a tomato sauce with carrots and bell peppers, or adding black beans and corn to tacos, consider creating healthier family favorites by adding 1-2 more veggies to your plate. Add diced vegetables in meatloaf and burgers, put veggies on pizza or pasta sauce, or add kale or spinach to fruit smoothies. The options are endless! Simple, healthy swaps, can lead to big, green results for you and your family!